I am one of those rare people who delights in sending paper greetings through the postal service every Christmas. It’s an antiquated practice to be sure, but it’s something I greatly enjoy. Of course, it’s far less frugal to mail paper cards than it would be to transmit the modern e-card equivalent, but I find this analogue approach a soothing counter-balance to our otherwise entirely electronic lives. Plus, don’t you think I’m doing the world a favor by broadcasting this face through the post? Hi der. I look like a deer. Naturally, my Christmas card extravaganza is not exempt from frugalization and, I discovered the one weird trick of budget Christmas carding: avoid anything labeled “holiday” or “Christmas.” Yes indeed, seasonal cards fall very much into the genre of “wedding” supplies–as in, the minute you search for a product with those special buzz words marketers love to hear, the price immediately increases. Fear not, for I don’t suggest utilizing “get well soon” cards for the holidays (although that could be a strategy… ). Rather, think like a business and send business postcards. 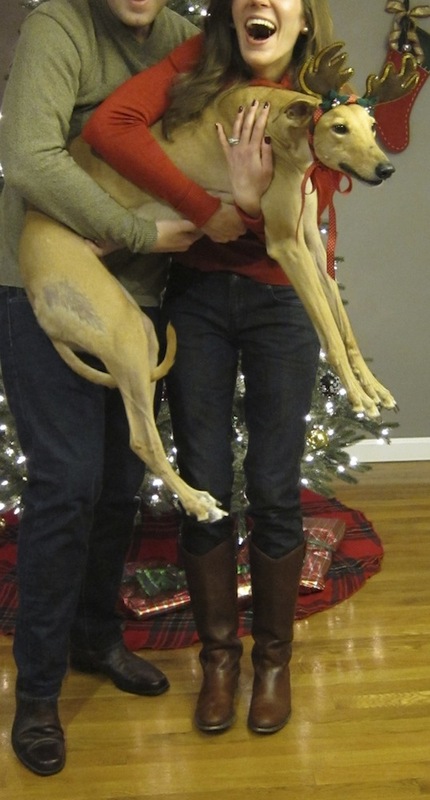 I used to do our holiday cards all wrong. I’d select the Christmas-themed photo card section on Vistaprint (which is the site I use for everything from our Frugalwoods business cards to this annual festive tiding), and I’d pick an oversized card requiring a special envelope. Not smart on several accounts. 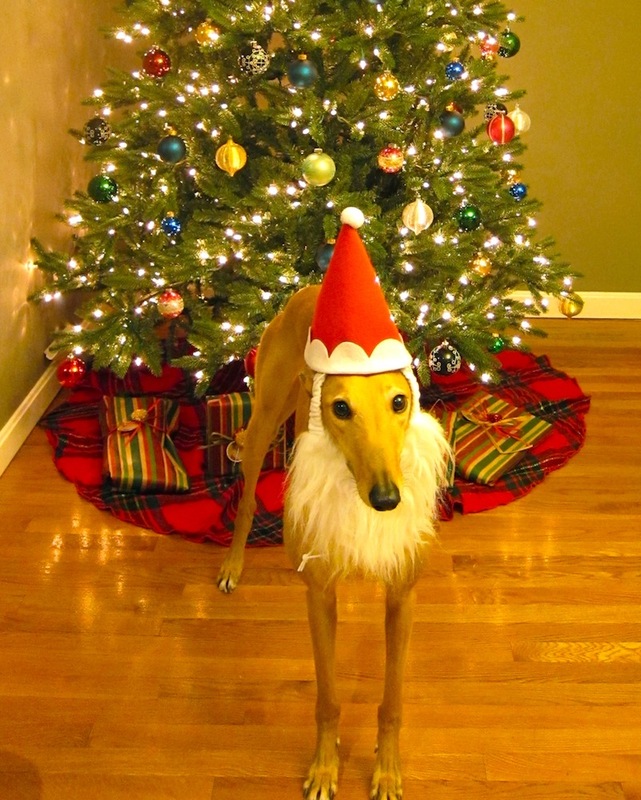 Last year, being our first year of extreme frugal living, I still wanted to dispatch greetings (I couldn’t let Frugal Hound-As-Santa go to waste) but I wanted to pay less. After rooting around on Vistaprint for awhile, I experienced a lightening bolt of frugal inspiration (take this with a grain of salt since it doesn’t take much to get me excited). Postcards are retro and look super hip (as opposed to appearing like you’re just trying to save a bunch of dough… your secret is safe w/moi). And business postcards are the cheapest option of them all. For whatever reason, the business postcards on Vistaprint are far less expensive than the traditional holiday options. Added bonus: there’s an entire “holiday/seasonal” section within the business cards, replete with cute snowflakes, Santas, ornaments, trees, and the like. Ergo, this is clearly the route I take. Just How Much Money Saved Are We Talking Here? Last year’s cards cost us a grand total of $62.17 to order and mail, which broke down as: $18.18 for 100 postcards, $9.99 for shipping (dang shipping! ), and $34 for 100 postcard stamps. Not too shabby for full-color front and back photo cards! I imagine this year’s order will ring up at a similar amount. Now, let’s explore the price for traditional holiday cards on Vistaprint. A standard folded holiday photo card clocks in at $64.99 per 100. Since these require regular postage stamps at $0.49/stamp, that’d be $49. We’ll assume shipping is the same at $9.99 and so you’re looking at a total of $123.98, which is effectively double my frugal weirdo business postcard scheme. Do you really get $61.81 more value for a folded card? Methinks not. I’ll gladly position my photos to cover up the “SALE” banners on business postcards to reap this savings. Since I like to personalize our cards with tacky adorable family photos, taking our own pics is another key area of savings. Are our holiday photos perfect? Heck no! Do we care? Heck no! The pursuit of perfection is a fallacy anyway, so might as well save money and embrace DIY photography. We use a tripod (which we found in the trash, by the way) and pose ourselves in front of our Christmas tree. Anyone can employ this strategy as it requires shockingly little skill and/or ability. And this brings me to yet another reason why I adore Vistaprint’s business postcards: you can upload as many photos as you want for free! Yes indeed, I could cram 15 photos onto one of those babies if I wanted to (well, I want to but taste, decorum, and Mr. Frugalwoods dictate I use a mere one or two). This scenario does involve me playing graphic designer, but hey, I consider it another frugal skill set I’m building. I know that real photographers and graphic designers everywhere are cringing at my amateur-ish artwork, but it works for me. After all, this is a family holiday card, it’s not like it’s going into The Met or anything (yet… ). Furthermore, I greatly enjoy creating our cards and playing around with different colors and fonts. I really don’t give a Christmas ornament if it looks like a 5-year-old made it–I have fun with the process. As Vistaprint gives you free range to edit your postcard as you see fit, I strategically position our photos over any business-related language or images that I’m not otherwise able to delete. The above photo is cleverly concealing a “SALE” banner that was embedded in the postcard design. Quite apt when you think about it. Additionally, Vistaprint allows you to download your final postcard as a PDF (without any weird watermarks on it or anything) so you can use it for any virtual e-carding you wish to do as well (or if you, ya know, want to upload the image to your blog). This year, I’m supremely ecstatic that I can combine our Christmas greeting with the announcement of Babywoods’ birth. Between this mash-up and the tax benefits we’ll receive for her in 2015, I’m starting to think that having a baby at the tail end of the calendar year is an ideal frugal family planning hack (of course we couldn’t predict when we’d actually get pregnant, but I’ll take credit anyway). As an inveterate over-planner, there’s another reason why I love Vistaprint: you can design cards in advance and save them in your online portfolio until you’re ready to place an order. Hence, I designed our baby announcement/Christmas card a month ago and it’s just waiting for me to pop in her actual birth date and a few family photos. Rather than give up sending out cards entirely in the name of frugality, I’m thrilled that I found a way to make the entire experience feasible for less. I’m all about hacking my way to the good life. 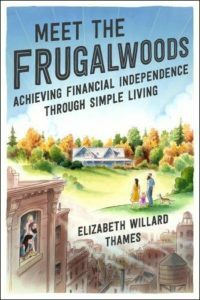 Mr. Frugalwoods and I have discovered that you can frugalize just about every single thing in life. Don’t let haters and the media tell you otherwise. Life is not, by default, expensive. If there’s something you want to do, you can almost always make it happen on the cheap. 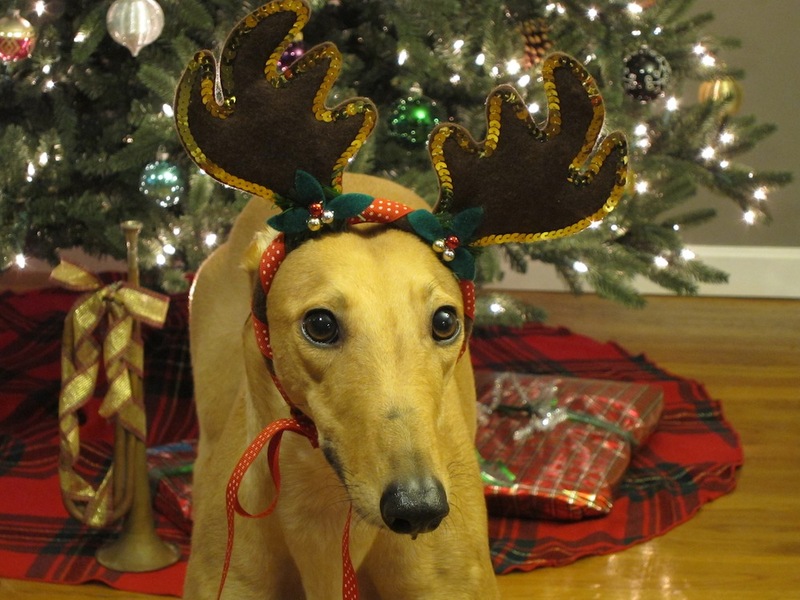 Happy holidays and festive tidings! 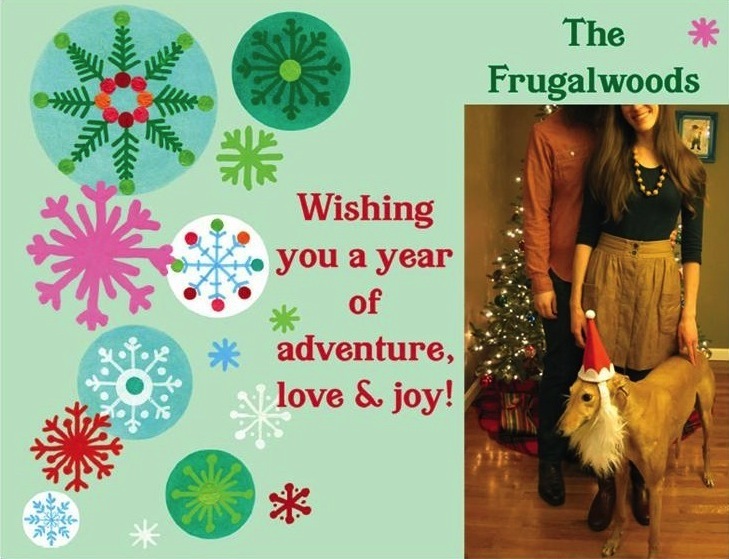 What are your frugal holiday card tips? I always buy my holiday cards December 26th at 90% off, and save them for the following year, which usually works out to about $0.10 or less per card (not including postage) for the really nice fancy hallmark cards with glitter and shiny lined envelopes 🙂 they also usually have cards where you can insert your own 4×6 picture, (which could be filled using one of the snapfish promos for $1) but I’m just usually not organized enough to get photo cards done. Sadly, a lot of my family is overseas, so the postage really adds up! This is a great idea. I tend to stock up on wrapping paper, ribbons, and bows after Christmas but I’ve never tried it with cards. Typically, we don’t send them out at all because of the expense. BUT…if we could buy some at 90% off, it would be worth it! I love the frugal community ideas. Thanks for sharing. You should also stock up on ANYTHING in a holiday package- including baking mixes, aluminum foil, ziploc bags, kleenex, etc. It’s crazy how just because things have a snowman or tree stamped on the box, they automatically are discounted the day after Christmas. I’ll order coupons for household goods (ie gladware, kleenex) and then use those on top of the post-Christmas sale. Awesome idea! I’m doing that this year! Thanks! Nice two-ply winter tissues marked down at the grocery store every year only because they have holiday decorations on the box. That doesn’t bother me at all. 62 cents a box for the good tissues. $5.00 for tissues for the year! I typically buy the insert your own photo ones after Christmas. Target is my go to for these. Last year I paid $4.00 for the whole box. It will cost my only a few bucks to print the photos at Costco. And after the holidays, our families can take the photo out of the card and frame it if they wish. I do the same thing! Every year I am at Walgreens/CVS and pick up the cards, wrapping paper, ribbons, etc to replace what I used the year before. I also keep an eye on the news for when the “Forever stamps” price increases come and buy my stamps before that happens in the year. That way I can mail things in December for what it cost earlier in the year. I too love the old fashioned snail mail cards at Christmas time. I usually do as Heidi commented – buy in after Christmas price slashes, but over the last few years we’ve been on the road and not able to accumulate such things. I was stung this year by buying some lovely pop-up cards…which were oversized and weighed just that tiny bit more than normal to bump them into the next price range (and this is international post…so an expensive mistake!). I am already planning much smaller and lighter cards next year…and will keep the postcard trick in mind (although I don’t have a massive volume to send so I’m not sure how that works out). I also keep a list of who sends us cards each year and adjust my own sending to meet that the next year – so I’m not sending cards to people who don’t seem to be into them. I love vistaprint. They always make our cards. Like you I really enjoy sending anf receiving cards so its a cost I dont mind. We ordered our cards during thier 50% off sale…Canada has fixed postage so we dont save anything mailing a postcard vs letter mail. What we did last Christmas, was our card doubled as our pregnancy announcement. We did self-photography & one of the pictures was a chalkboard where we wrote “Santa isn’t the only one coming to town.” It was fun to see how many people actually read the card & how long it took for them to call us in shock. Otherwise we normally buy cards on clearance, after the Christmas season. Brilliant! I ENJOY doing real, paper, personalized, touchable cards too. I cut them out this year (or was planning to) because I just felt with our new frugality goals/lifestyle I couldn’t justify spending the well over $100 it would cost (as you outlined). I felt a little sad about it, which is not the goal of frugality, optimization of what you enjoy is. I’m reconsidering now, thank you! Happy baby due date! Wishing you a safe, joyful and healthy Baby Birth Day when it comes! Thank you so much! Yeah, I was excited when I realized I could cut our card costs in half–it’s just so fun to send them out :). I love sending – and receiving! – photo cards, too! 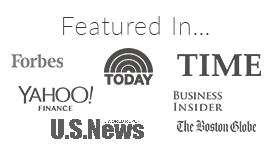 I usually take advantage of a sale, plus get cash back by ordering through Ebates or Swagbucks. I make my own Christmas card by taping a printed photo on a blank postcard with masking tape – easy, fancy looking, and I don’t need to pay for shipping. Postage is more expensive here in Germany, so I don’t think I can beat you in the frugality game (at least not per card – but I only send about 10, so that works for a student’s wallet. I probably pay about 1€/card for everything). Postcards are a great idea. I’ve used 10 for $1 Christmas card packages with a nice hand-written note, kids’ cheapo-photo session package cards (the entire horrible studio experience & lots of prints rings in at $10), and baby birth announcements as my daughter was born Thanksgiving week 2 years ago. Last year I did absolutely nothing because I was feeling too frazzled. Thanks for sharing your tips–postcards would save me a lot of time, too. I call. Well, this cuts down on a lot of friends I would like to stay in touch with but there’s nothing like hearing the voice of a good friend (at least once/twice a year). There are a couple of exceptions. I actually put pen to paper and write a few letters. I do my own art – often slipping one of my handmade ornaments in the envelope, or break down and use a box.. Does it cost more? Sure, but my list is not extensive and I think I’m writing to those who actually want to hear from me because they write back. I may be missing a few but there’s always email and I’m not adverse to writing an extra long email to some. This year I jumped way out of budget. Why? I just finished teaching art to kids who wouldn’t have a chance to take art otherwise. It’s part of an Outreach program where I am a pastor. I want those kids to get their OWN Christmas card so that’s what’s happening. It’s well worth the cost of the card and postage to send something to kids who have so little. I tried to cut and paste some of their work HERE but it doesn’t seem to work. Their work is incredible. I introduced all kinds of materials the kids wouldn’t ordinarily use in an art class in a public school. So, they worked with sheep fleece, wood, clay, Sculpey and just plain paint. At any rate, that is the extent of my blowing the budget (such as it is) for this season as far as extras go. May you all have a wonderful holiday season beginning with Thanksgiving and ending with Epiphany. Same trick as a lot of people – I buy cards after Christmas and put them away. I spent the past weekend writing out letters inside each of my cards. It’s silly in some ways, but I love snail mail and I think handwritten messages are so fun to give and receive. I don’t mind the extra postage 🙂 Lovely cards and your photography skills never disappoint! Good idea to buy after Christmas–totally makes sense for the savings! My frugal tip for cards is that… we don’t send them. I might send just one to a special friend this year. The rest of the people, we see face to face. But I get the fun of it for you guys. We are 100% on board with using postcards instead of traditional cards. 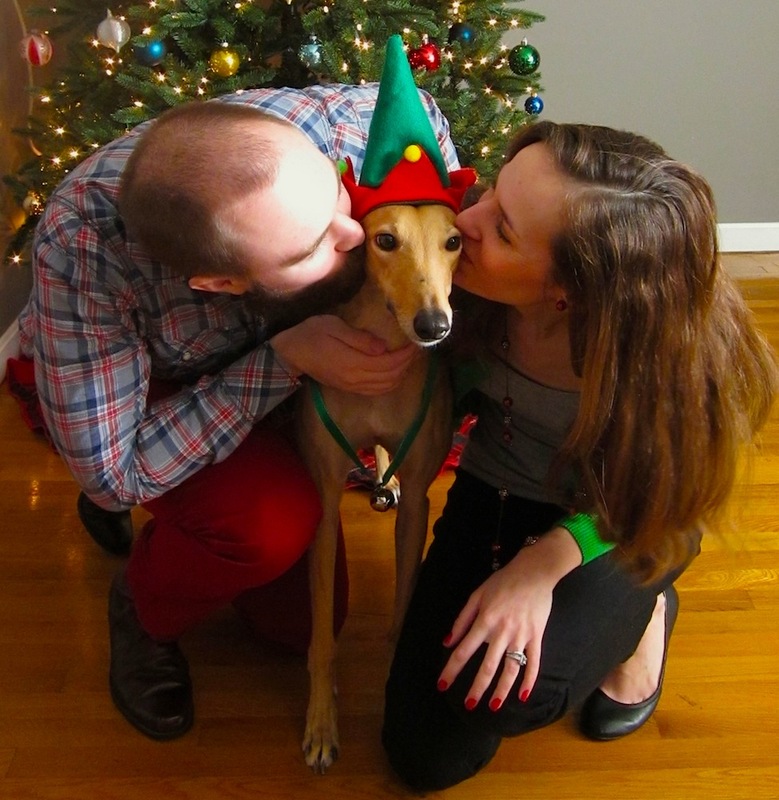 We’ve done it for our holiday cards in the past, our wedding save the dates, and our daughter’s birth announcement. It is less hassle to use them (no stuffing envelopes!) and you can save on postage by using post card stamps. Can’t get much easier than that if you want to send something out! We also are selective on who we send them to – we only send them out to close friends and family instead of everyone. My pregnancy ended up being frugal and aptly timed, as I delivered at 10:31 pm on Dec 31st. Tax exemption for the win! Great cards and tips! I, too, love snail mail and send quite a bit of it year-round. Just a note — this year postcard stamps are 35 cents. Make sure you have the right stamps! I love Christmas cards and paper! I make mine myself. If after six years of art school, I can’t make my own Christmas card, then I might as well throw myself off a bridge. What I do is go to an art supply store and get large sheets of fancy rag printmaking paper, 22″ x 30″ for about $3-4 each. Then I cut them up into 8″ x 6″ pieces and fold them into 4″ x 6″ cards. The paper is so thick and luscious, but ultimately not nearly as expensive as it feels. Sometimes I make linoleum cuts and print cards for various occasions, thank yous, my wedding, etc. Last year my toddler son was really into coloring so I sat him in his high chair and gave him piles of red and green markers and my pre-cut paper and let him have at it. Then we we used some Christmas stamps with metallic ink on top of his red and green scribbles. I stuffed them into some colored envelopes that I ordered online (probably paid $50 for for a whole bunch a few years ago) and addressed with a mettalic marker they looked great, got lots of compliments. Not sure what I will do this year as he has lost his focus for coloring. Perhaps I will print cards in red with oil-based inks and let him watercolor over them in green. In any case, having the blank, pre-cut cards around is always handy. The hand-made, hand-written card is always a hit. If you are not an artist per se, stamps or stencils are great aids. You can stencil and color in, therapeutic and good for the soul. Love hearing about everyone’s different ways that they send love out to others. We need it badly, this year especially. I’m impressed! I’m the least crafty person on earth, so I have to know my limits ;). But I love that you and your son made the cards together! I hadn’t heard of Vistaprint but I’m sold! I was looking for an affordable way to send cards this year and that post card tip is awesome! How exciting that your card this year will have Babywoods! Happy Thanksgiving from New Hampshire. I’ve done the buy-after-Christmas at a huge discount strategy too, and gotten cards for pennies a box. This year i wanted to do photo cards, so I kept my eye out for coupon codes for Snapfish. I ordered our cards when they had a deal to pay only shipping and got 30 cards for $6.95. That’s enough for our small list. I also got a couple of gifts (luggage tags and magnets) and a calendar for peanuts from Snapfish also. I’m glad to hear you send Christmas cards. Postcards are a great idea (that’s how we did our wedding thank yous!). And we totally combined birth announcements with Christmas cards for our October child! (I only had to mail one envelope!) Happy Thanksgiving to you and yours and good luck these next few weeks. Wishing you all the best! This year we spent $6 on cards (Ollie’s Bargain Outlet), $11, including shipping on 100 photos of the kids, and $40 on shipping (we’ll hand deliver a few)…for a total of $57 to send holiday greeting to 100 of our closest friends and family. I’m making my own again this year with some card blanks and stamps! It’s fun and easy to have a few stamps of trees or whatever floats your boat. Add in some pretty colored and metallic ink pads and you’ve got a pretty lux looking simple card. I don’t send too many cards out so it’s nice to spend time writing notes to everyone. Costco sells 50 photo cards w/ envelopes for $9.99 ($14.99, but there is a coupon every year before Thanksgiving). It’s a great deal. I have noticed that most of the cards I receive are from Costco now. Great tip and one I hadn’t considered before. We shop the bargain closeouts of Christmas Cards after Christmas so we are usually ahead a year but still stuck with the full postage issue. Great suggestion. I have never used Vistaprint but I love your postcard idea! I wonder if there’s a blank postcard that I could add my own design to? We usually use Costco and it is pretty inexpensive too … hmmm … I’ll have to see if they do postcards too! Vistaprint lets you upload your own design. I love that they will also address and mail them for you. We still send Christmas cards every year. This year, we’re combining it with a “we moved!” card. 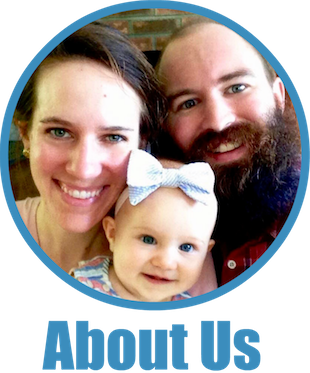 Now, to just actually take the family picture and get them printed… One thing I would recommend you doing if possible is to address all of the envelopes/address stickers for Babywoods’ announcement now, while you have free time. We waited to see if we were having a girl or boy, so we couldn’t even pre-design our cards. But, I went out and bought the right size envelopes and pre-addressed them. I also set up an e-mail “group” for personal and work e-mail to have hubby be able to upload a picture and just send to one “address” and it get to everyone it needed to get to. Off topic, but SO MUCH MORE IMPORTANT, isn’t baby frugalwoods due to arrive today?! I am looking forward to reading the post about her arrival. Please don’t keep us waiting too long. Hahah, yep, she was due yesterday, so she’s just taking her time now :). Fear not, I’ll post an update as soon as there’s news to share. Normally I take the cheapest route of all and don’t send cards but this year I have about 6 coupon codes that should work out to really cheap photo cards. The frugal part of me is balking over the postage, though! 🙂 I did postcards a long time ago but I still love the idea and taking it to Vistaprint business style sounds like a great idea too. I shall be brainstorming for next year! I love sending mail too. I need to stay on top of it to make sure I get it done on time . but its lots of fun go send real cards. As others have mentioned I usually buy after Christmas and stock up a box or 2. I always buy forever stamps so the saved postage wouldn’t really make a difference. But I have done the postcard thing. I did it back in 2012 as our thank you cards for our wedding. And it was ridiculous cheap. I think $19 for 100… Maybe even just $9. It was really fun to design them and we did cram quite a few pictures but I think it came out ok. Actually that’s a great idea maybe I’ll write about that. Last year, I was lazy and did not send cards. In some years, I have bought cheap generic holiday cards at a discount store and just enclosed a photo (and a Christmas letter, because I AM one of those people, as was my mother before me–FWIW, I enjoy receiving other people’s letters, too 🙂 ). Thank you so much for your good wishes and prayers–most appreciated! No Babywoods yet… she is taking her sweet time :). I’ll let you all know when she does make her appearance! Thank you for the tip, just ordered our cards from Vistaprint. They were $68 for 250 postcards. That’s 1/3 the price of what we usually spend! Thanks again & good luck with the new baby. I discovered several years ago that you can mail a regular 4×6 photo with a postcard stamp! Usually I just do a picture of the kids/family and maybe a line of text. Then I write the address on the back. Last year I bought our cards from Wal-Mart. I was able to design them online, have them printed in our local store, and pick them up that day. So no shipping costs and a great strategy for procrastinators. I would imagine there are other stores that have similar deals, but I live in a fairly small town. I did use your Vistaprint strategy for our wedding “Save the Dates” recently. My fiance really wanted to make magnets, but I thought they were horribly expensive until I found the magnetic business card option on Vistaprint where I could just upload my own design. They turned out great. One thing I noticed with Vistaprint though was that their prices fluctuate a lot throughout the day. They magnets were significantly cheaper during business hours than they were after work or on the weekends. You posted this the very day I was stressing over the expense of Christmas cards, so I went ahead and used your idea. I added a family picture from the summer and the kids’ Halloween picture. I usually only send/deliver 60-70 cards, but with coupon codes it was 12.99 to order 100. The cards arrived on Friday, and I was so disappointed to see I spelled merry with 3 r’s. “Merrry Christmas” I called Vistaprint, and they are sending corrected cards for no charge. “Mistakes happen” they said. I am so relieved even though it will mean sending out cards much later than planned. We love your idea to use Vistprint. And you are totally write for business cards. We also use Sendoutcards.com for a Christmas cards. We can customize(with our own photos) a card for .62cents each and then I pay them .34c each for the postage. They do the printing, stamping and mailing for us. love it. We sent out postcard wedding invitations and it saved us over $300…all for a piece of paper! They come out to about $0.40/sticker. Then I ordered some pictures on Shutterfly for pickup at Target, which are $0.19/print + tax. In total, it’s about $0.60/Christmas postcard, which is comparable to what you paid, but for a smaller number of recipients. I can also use the leftover postcard stickers for other notable events. For instance, we’re going on our European honeymoon this May and so we can send pictures of our adventures to everyone who helped pay for activities through our Honeyfund with a nice little thank you note.